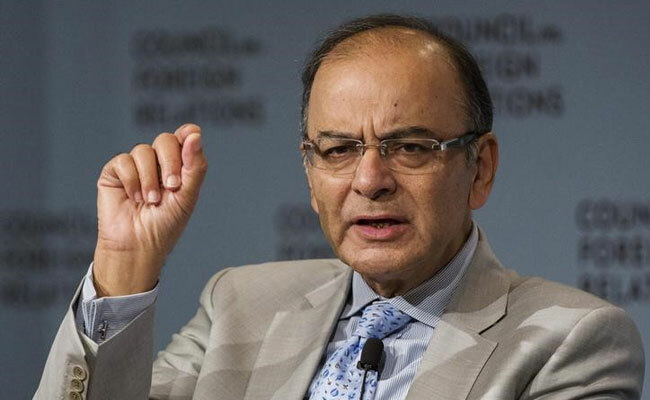 Mumbai (PTI): Assuring balance-sheet stressed firms that key objective of NPA resolution is not liquidation of their businesses but to save them, Finance Minister Arun Jaitley today said, the new insolvency law has significantly reversed defaulting debtor-creditor relationship. “The ultimate objective really is not liquidation of assets, (but) to save these businesses, get either the existing promoters with or without new partners or new entrepreneurs to come in and make sure that these valuable assets are preserved,” Jaitley said. He was addressing an insolvency summit organised by industry lobby Confederation of Indian Industry (CII) here. Explaining the rationale for the new insolvency and bankruptcy code (IBC), he said, this was necessitated by the failure of debt recovery tribunals to effectively perform their duty after the initial success. When enacted, the Sarfaesi (Securitisation and Reconstruction of Financial Assets and Enforcement of Security Interest) Act had succeeded in getting down NPAs drastically in the initial two-three years, Jaitley said. But then the debt recovery tribunals began to be less effective as envisaged, the minister noted, which led to the new law. “The old regime by which the creditor would get tired chasing the debtor and end up recovering nothing, is now over. If a debtor has to survive, he will have to service his debt, or he will have to make way for somebody else. I think this is the only correct way by which businesses would now be done and this message has to go loud and clear,” Jaitley said. Calling for speedy and time-bound resolution of the bad loans issue which has become a major regulatory overhang, the FM expressed the hope that the mandated timelines will be adhered to so that implementation is effective. Gross NPAs have crossed 9.6 per cent as of March 2017, while the stressed loans ratio is over 12 per cent. Following this, the RBI has named 12 of the largest defaulters in June, which together owe more than Rs 2.5 trillion to banks. Almost all of them are under NCLT (National Company Law Tribunal) now, and may face liquidation if the promoters fail to come up with a sustainable resolution and capital infusion. These 12 companies are from the list of 500 largest defaulters that the RBI has drawn up.